Umm, anyway… the song is “Peaches”, one of many deliciously weird tracks on the band’s self-titled debut. There’s no trace of allegory here — this is literally a song philosophizing about the title’s stone fruit. As the story goes, the song was inspired by the memory of bassist and vocalist Chris Ballew, who went to the house of a childhood crush. She wasn’t home when he arrived, so he sat under a peach tree eating and squishing peaches. And as silly as it may sound to just record a track about fruit, the result is full of masterful songwriting and crunchy remnants of the grunge age. It’s almost anthemic in its simplicity — I can imagine the ironic Gen-X BIC lighters rising from the mid-90s Seattle crowds. The fuzz is plentiful and the bass is thick all over this album, despite songs like “Kitty” (about a cat) and “Body” (about negligent pet care). Mel’s project this time around was peach ice cream, but she definitely took it a step further. The first thing she did was suffer a momentary Pollock-esque finger slip with the food coloring — making the whole batch a fantastic shade of neon pink. 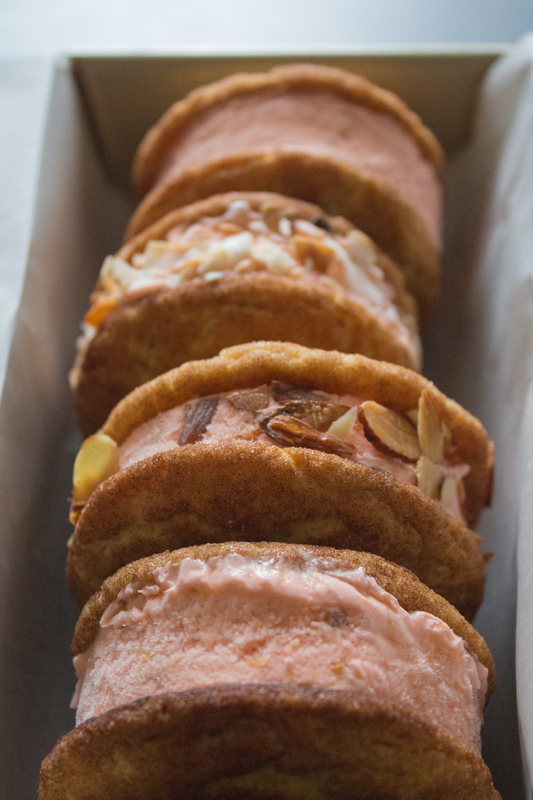 And then, the baking took over with a huge batch of snickerdoodles for ice cream sandwiches. Then, as if that wasn’t enough, a few got rolled around in toasted coconut and/or almonds. Yes. Check out Mel’s process here, and check out “Peaches” below, care of Vimeo user Mauro Gutiérrez Salgado. Actually watch it, too. There are ninjas. 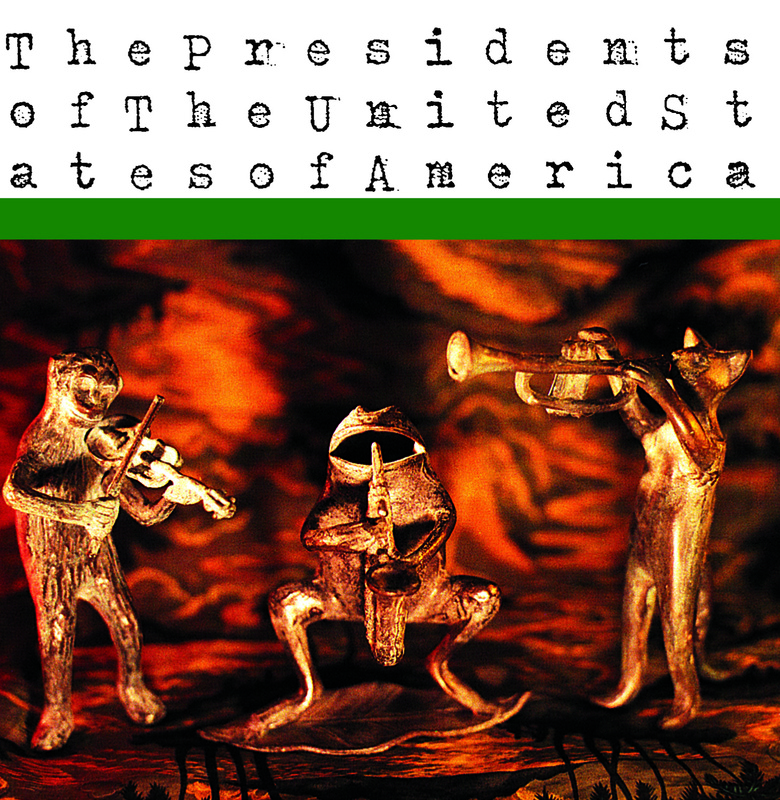 This entry was posted in Tracks and tagged Columbia, The Presidents of the United States by Brandon. Bookmark the permalink.